After 35 years in the orthopedic shoe business I don’t know how many times I have been asked the question, what are the best shoes for plantar fasciitis and heel pain. I usually begin my explanation to the customer by saying that there is not one shoe that is right for everyone. Everyone has a different foot structure and finding the correct shoe should be done on an individual basis. 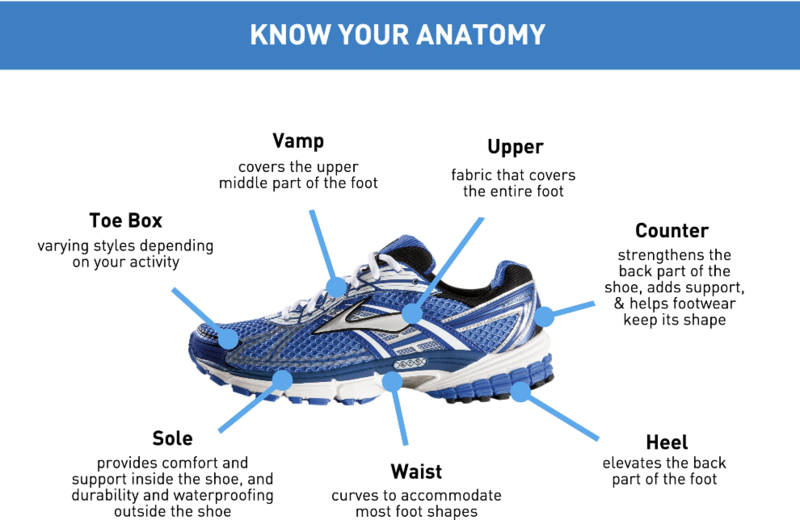 The rest of this article will explain how to find the perfect shoe for your foot problems. Also, check out why the US Navy chose our Ultimate Heel & Arch Support. It’s a fastest way to cure your heel pain! It works so well that it is dispensed by US Navy Physcians on 4 US Aircraft Carriers. 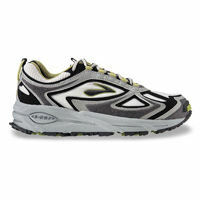 When shopping for a shoes for Plantar Fasciitis the first thing you must look for is a firm heel counter. The heel counter is the back portion of the shoe that wraps around your heel bone and controls pronation and supination. (excessive pronation and supination are contributing factors of plantar fasciitis) When selecting new shoes squeeze the heel counter to make sure it is firm. If the heel counter collapses it is not correct shoe and will most likely not support your foot and ankle properly. The next thing to check is the flexibility of the shoe. Using both hands hold the shoe by the heel and toe. Try to bend the sole of the shoe in the middle. If the sole offers little resistance and collapses in the middle then stay away from the shoe. The proper soles should bend very gradual and offer some resistant. This is needed to withstand the thousands of steps you will take while wearing the shoes. Next, look for a shoe with an elevated heel and rocker sole. The heel of the shoe should be about 1 inch high; this will help shift some of the weight off of your painful heels. As for the rocker sole, the best way to test this is to put the shoe on a flat surface and push down on the toe. The shoe should rock forward in a rolling motion. The more the shoe rocks the better it is to help heal your plantar fasciitis. 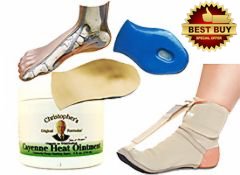 Try our Plantar Fasciitis Kit Its on sale today! Never buy a shoe that has “neutral” or flat heel. This type of shoe will reload the weight bearing of your foot onto your heels, thus creating more pressure and exacerbating the condition. Make sure the shoes have adequate cushioning to absorb the impact when your heels strike the ground.These are just some of qualities to look for when shopping for shoes for Plantar Fasciitis. Instead of buying shoe after shoe with disappointing results, your best approach is to purchase a orthotic support that was specifically designed to cure Plantar Fasciitis! This will allow you to change the orthotic from shoe to shoe, turning a good shoe into a great shoe! This is not only the fastest way to walk pain free – It is also the least expensive. So stop dollaring yourself to death and try our 100% guaranteed Ultimate & Heel and Arch Support. 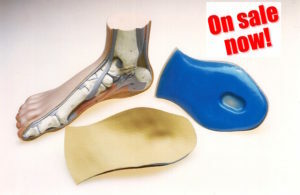 Since 1990 it has been the leading orthotic for heel and arch pain. The US Navy loves it and you will too.